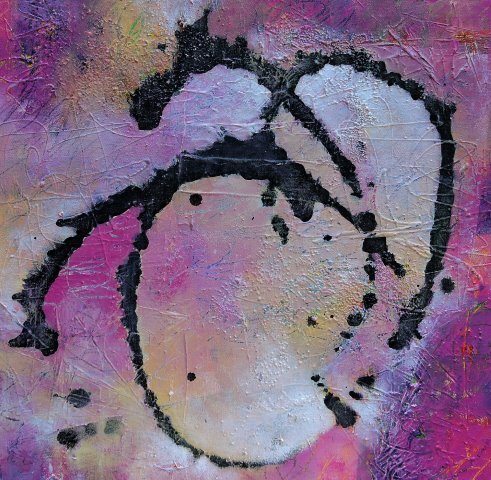 ATLANTA - Nov. 21, 2015 - PRLog -- Award winning artist Jacqueline Doyle Allison announced today that her abstract mixed media painting “Pizazz” has been selected as a finalist in the United Nations Education, Science and Cultural Organization (UNESCO) Chair in Bioethics and Human Rights 2015 Bioethics Art Competition, “Express the Gift of Healing: Body, Mind and Spirit.” Jacqueline Doyle Allison is an American artist who is known for her dynamic and colorful abstract mixed media paintings. The Bioethics Art Competition will exhibit this work in multiple international venues beginning with the Conference on Medicine and Religion, March 4-6, 2016 in Houston, Texas, followed by an exhibit at the University of Texas M.D. Anderson Cancer Center also in Houston, November 14-16, 2016. Jacqueline Doyle Allison's painting “Pizazz” was chosen through an art competition which was conducted during the summer by the Bioethics Art Competition, in affiliation with the UNESCO Chair in Bioethics and Human Rights. There were many worldwide artists who competed in this event. Winning artists are recipients of cash awards, inclusion in the competition catalog and exhibition in multiple international venues. Jacqueline Doyle Allison lives and works in metro Atlanta and the Mountains of North Georgia. Her artwork can be found in corporate and private collections across the United States and she is represented by several regional galleries. Her website can be found at www.jacquelineallison.com. She also can be reached at jacquelineallison@att.net.